Attractive machine stand, featuring steel frame and translucent polycarbonate panels, adds a touch of class to your office area. 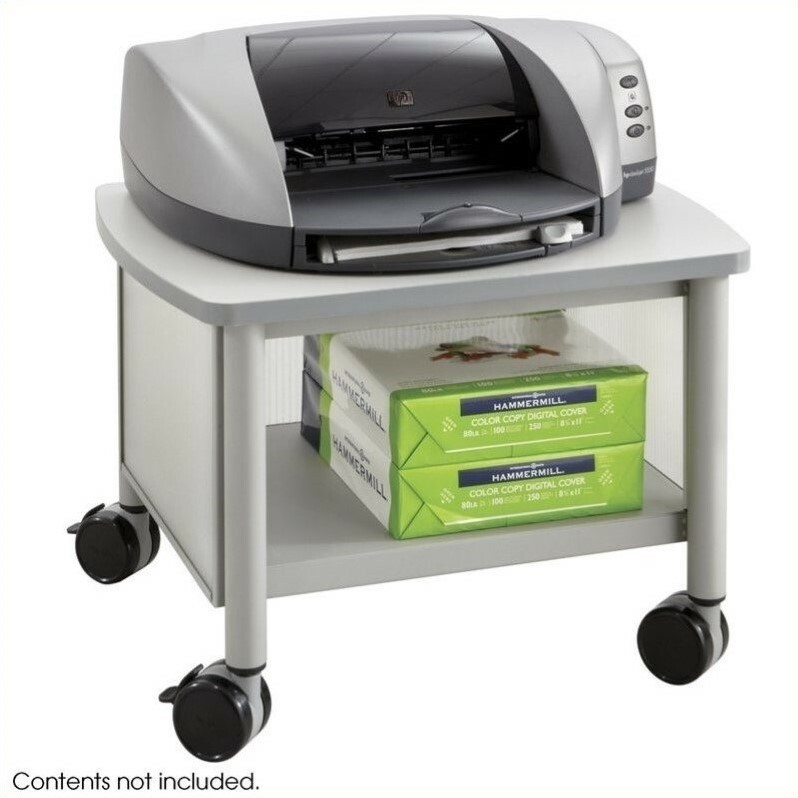 Generously sized Gray laminate top accommodates most office machines. Storage with one fixed interior shelf underneath for office supplies.